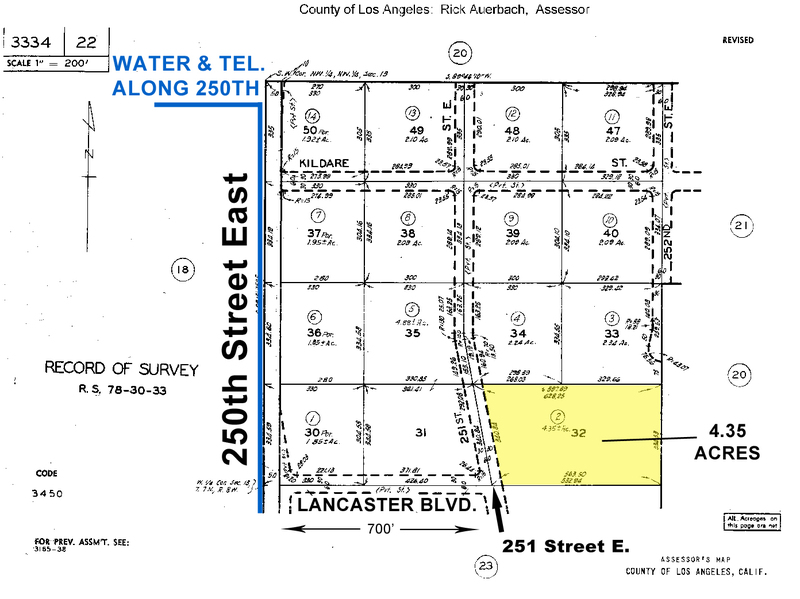 Los Angeles Land for Sale. 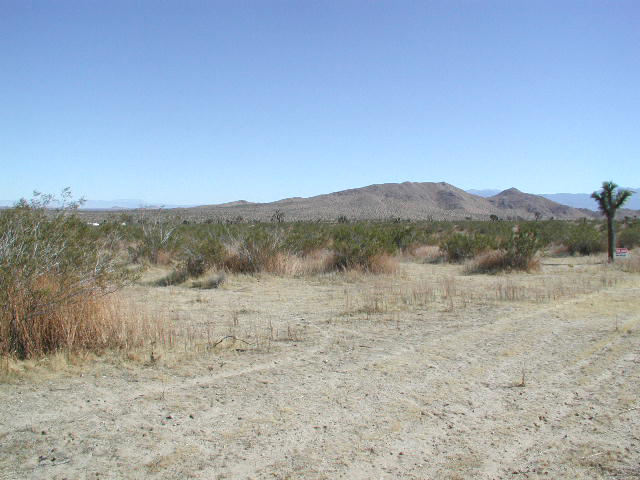 Lancaster / Palmdale Land for Sale. FAQs: Visit the FAQ page. 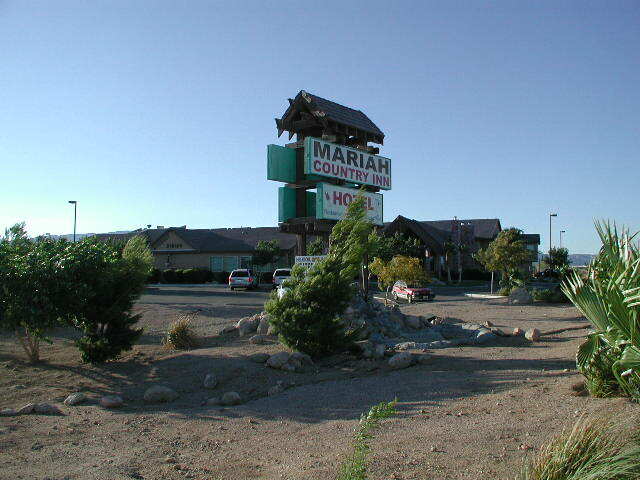 Hello, I own property throughout the Antelope Valley (California) and Northern Nevada. 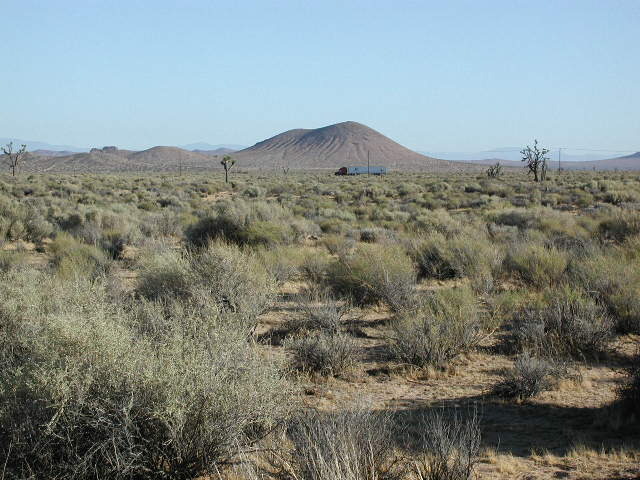 The Antelope Valley is located in the County of Los Angeles. 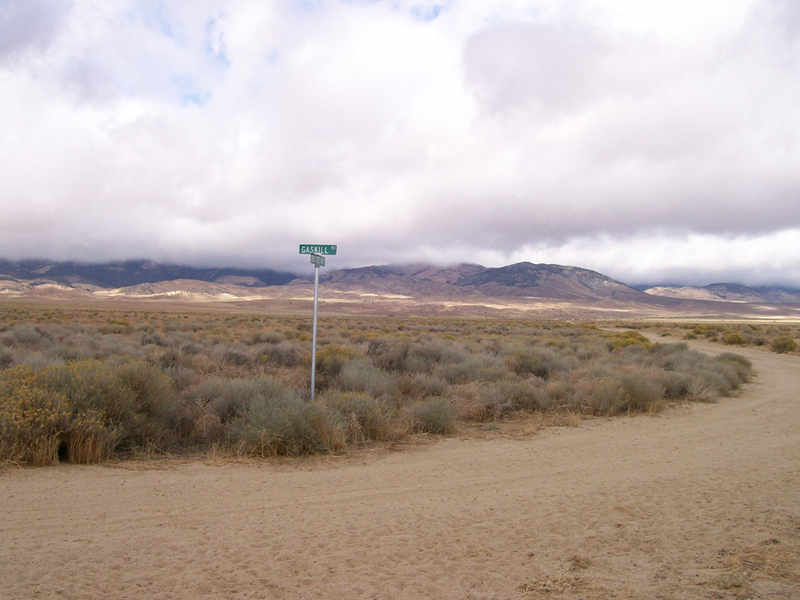 The Nevada land is located in Elko County. 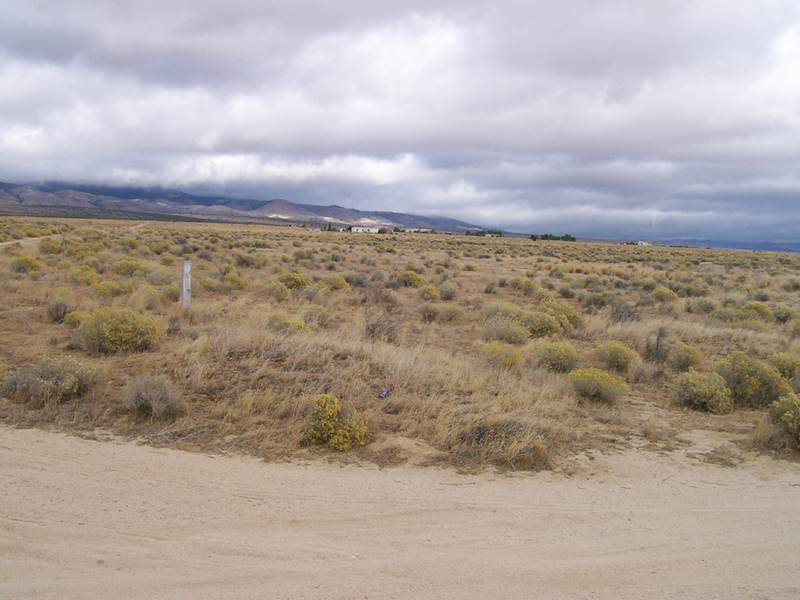 Elko County is famous for cowboys, gold mining and fun casinos. 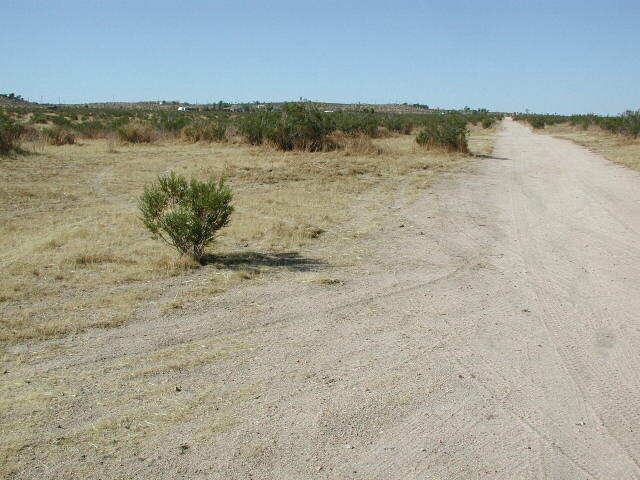 I sell my land for a very low price. I acquire the land for a low price so I sell the land for a low price. 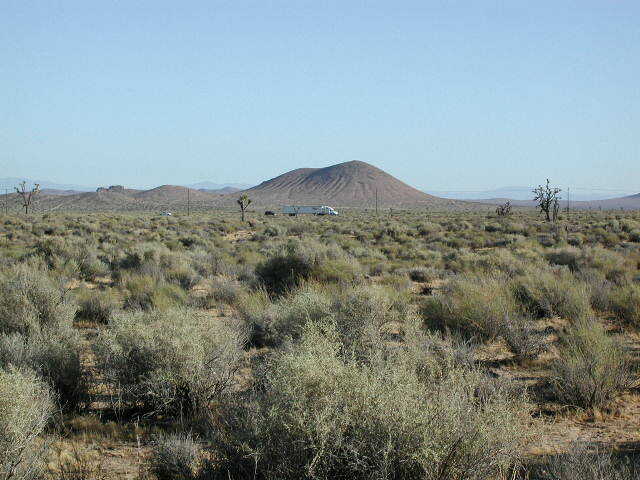 You can check other land sources and you will find that I have the lowest pricing. You could buy my land and resell it for a profit. Some people have a budget in mind. With my low prices, you can buy two parcels for the price of one parcel sold elsewhere. I hope you take advantage of the initial savings that I offer with my low prices. Forget market value. You can buy California real estate from me far below the market value. 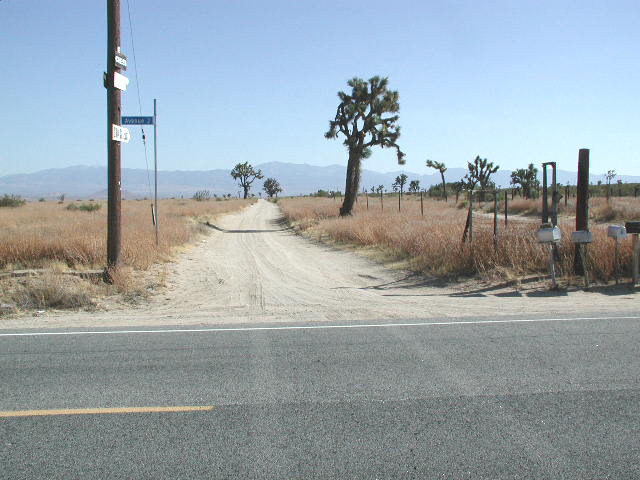 I mainly own land in the Lancaster / Palmdale area of Los Angeles County, California. 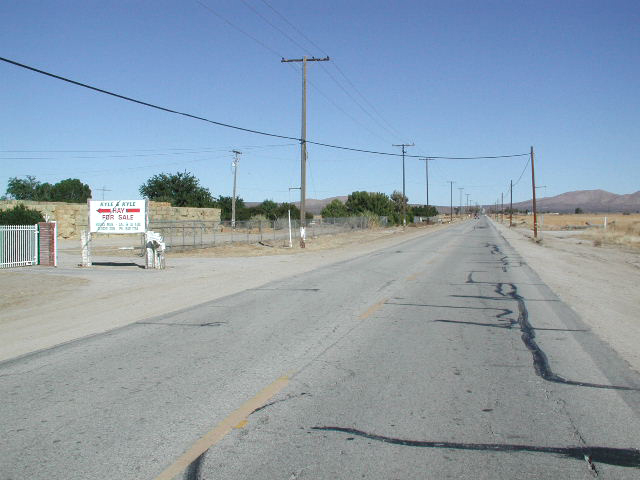 Lancaster and Palmdale are cities in California with very large populations. 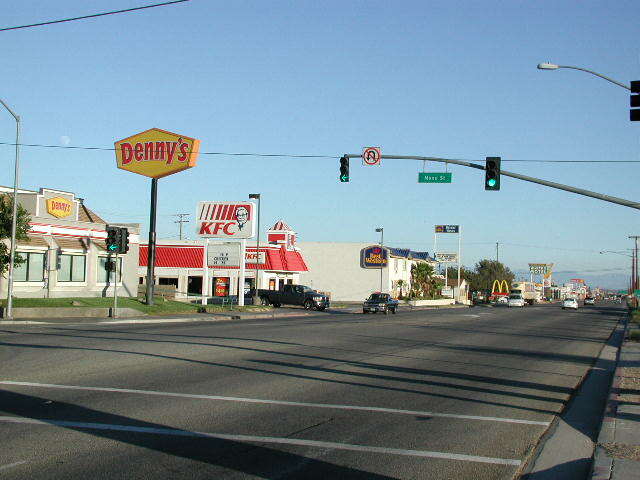 There are many places for shopping and recreational activities. 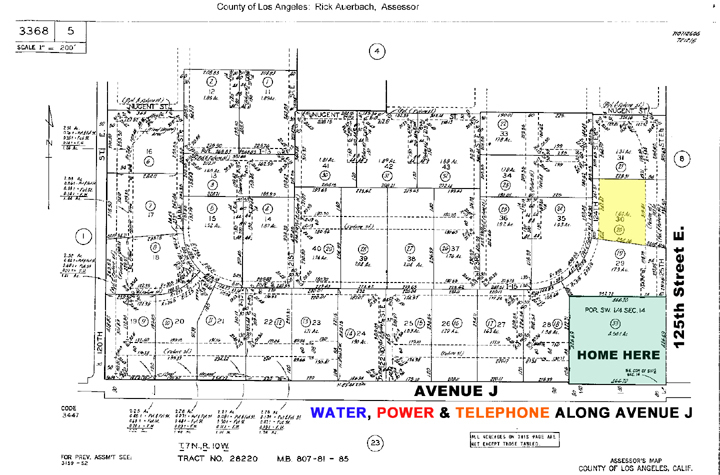 There are many homes being built in the Lancaster / Palmdale area. 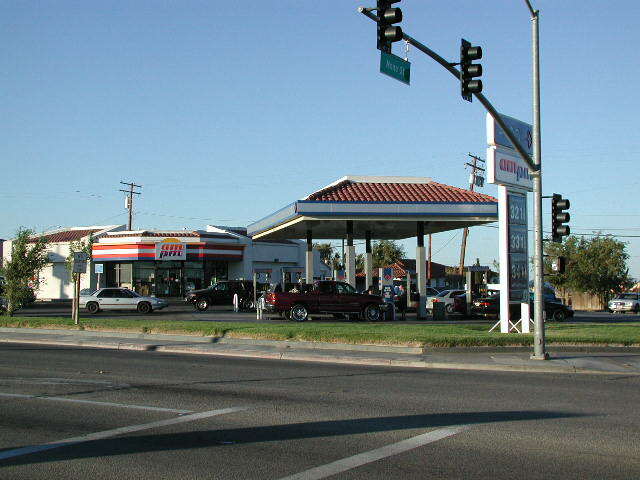 As real estate and homes continue to increase in the city, many people are moving into the more secure, relaxed atmosphere of the Antelope Valley. Rather than living on a 6000 sq. 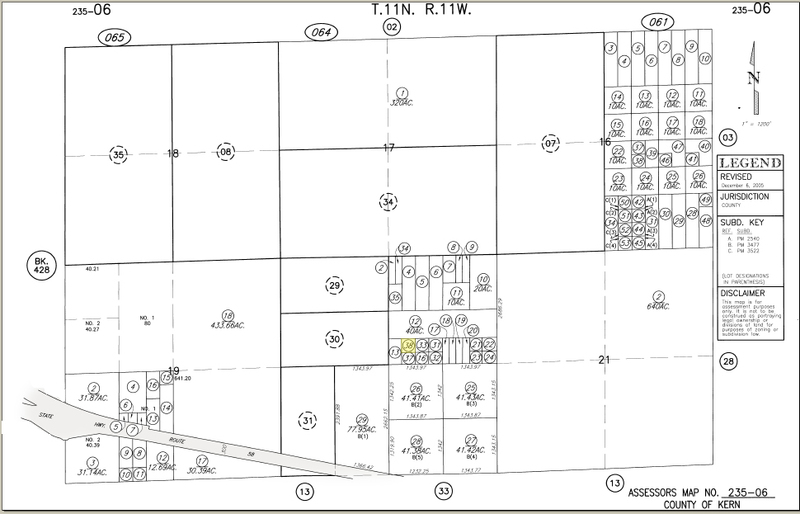 ft. lot... huddled next to your neighbor... you can buy a large parcel and build your own custom home or ranch. Plus, you'll have plenty of room for your children and entertainment. Please email me with any questions. In addition to the sale price, please add the recording fee and the prepaid taxes. For land purchased within LA County, California, please submit a completed and signed LA County Change of Ownership Form with your payment. 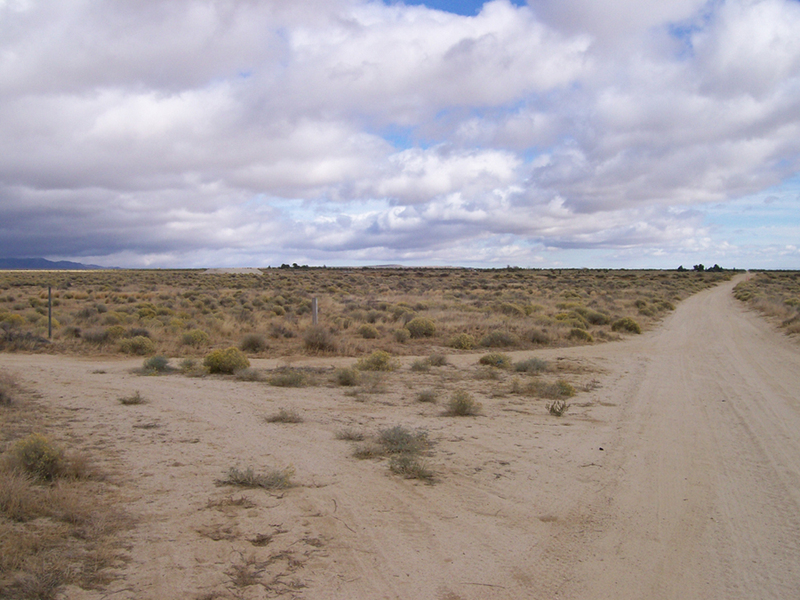 For land purchased within Kern County, please complete this Kern County Change of Ownership Form. 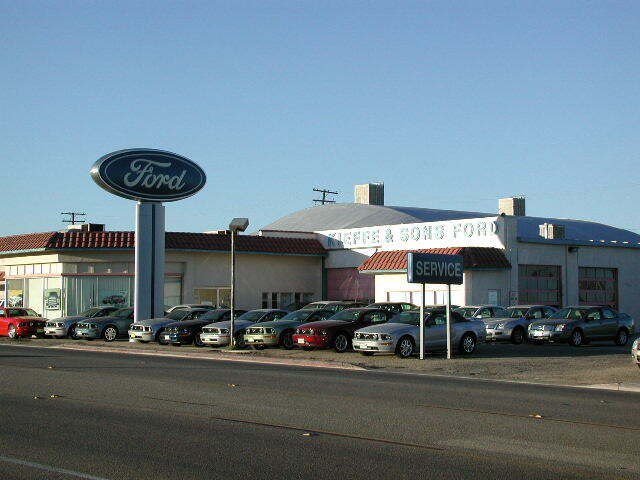 I offer the Land Lease Option for Purchase as an alternative for financing. You lease the land for 7 years. At the end of 7 years, you have the option to buy the land for $1.00. 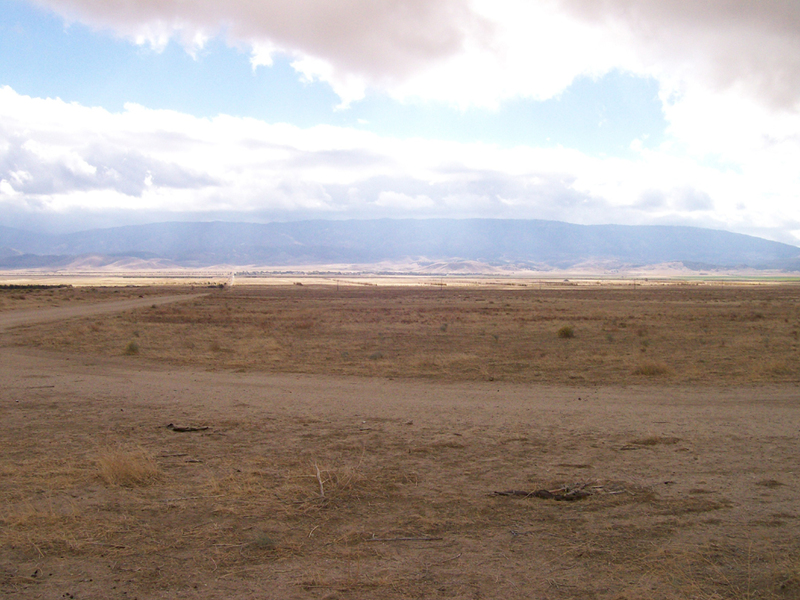 I offer the land for a cash price that is significantly lower than the final lease value. If you prefer to choose the Land Lease with Option, you ultimately will be paying more than the cash price. You can use our Financing Calculator to calculate your payments. 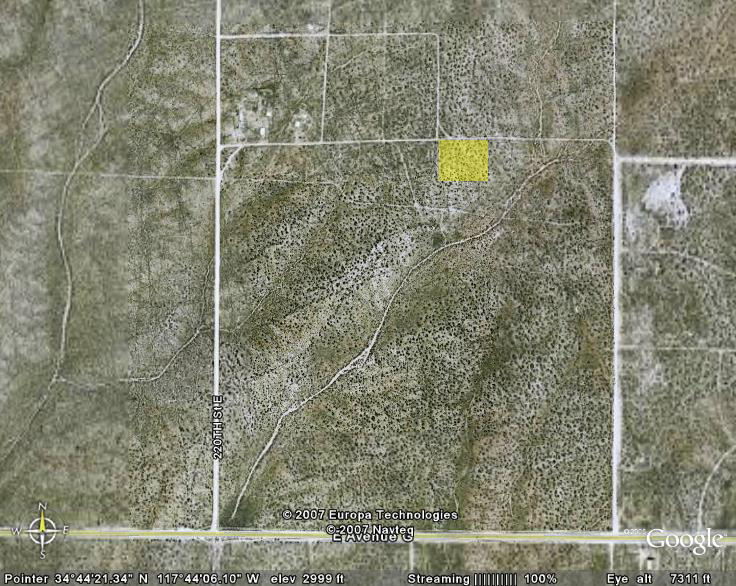 Click on DESCRIPTION below for additional information on each parcel of real estate for sale. BUY more than one parcel and receive a generous DISCOUNT. Flat parcel. Easy access. Los Angeles County. Homes at 220th and F8. There are also homes located along 225th Street. Buyer needs to verify utilities. 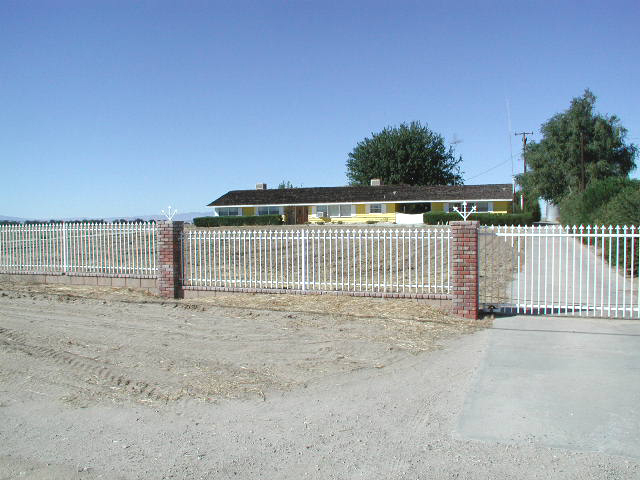 Kern County Real Estate for Sale. 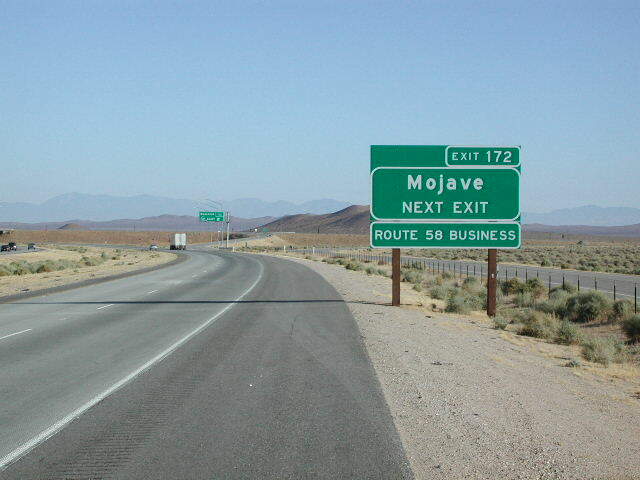 1/2+ mile North of the 58 Freeway in Mojave. 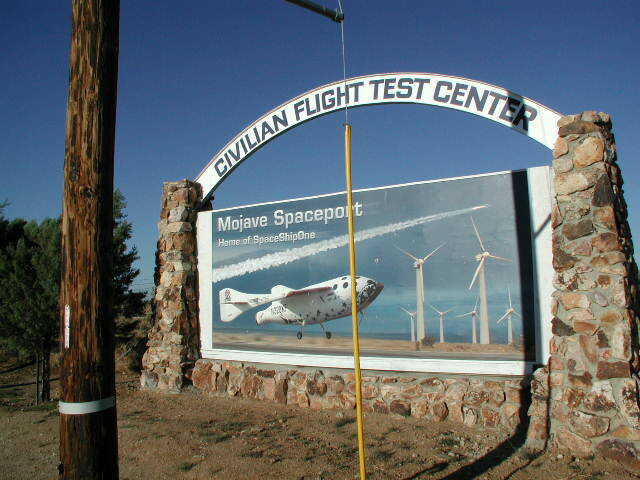 East of the Mojave Airport. Flat parcel. No utilities. Nice area for future growth. Picture from land looking at the 58 Freeway. 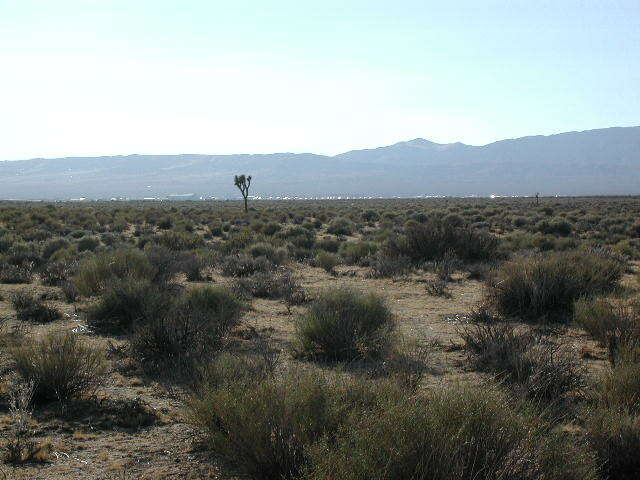 Picture from land looking West at the Mojave Airport. Another Picture looking at the 58 Fwy. Unpaved Largo Vista Road (210 Street East). Off Avenue J. 210' deep by 338' long. Flat parcel is 100% buildable. Great location. Corner property. 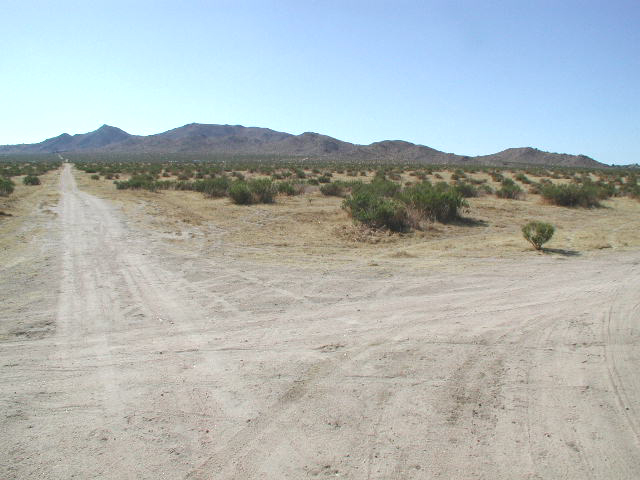 This area is between the 5 Freeway and West Palmdale; just North of the LA County line in Kern County. 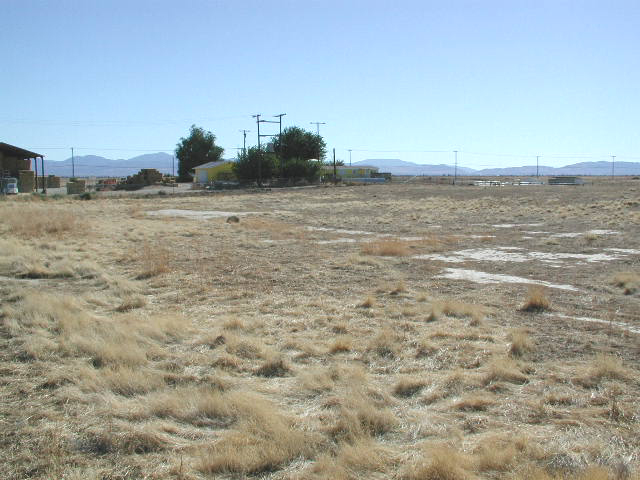 This land is in the desirable West Side. 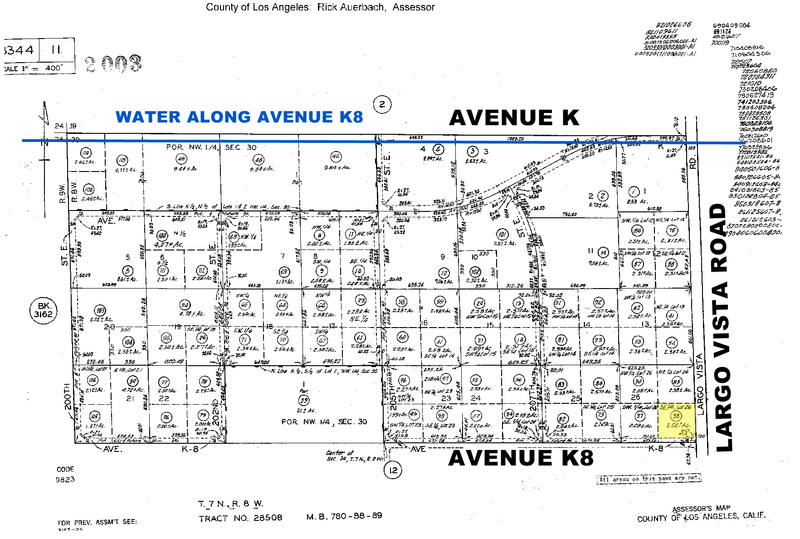 Avenue J is paved with power. 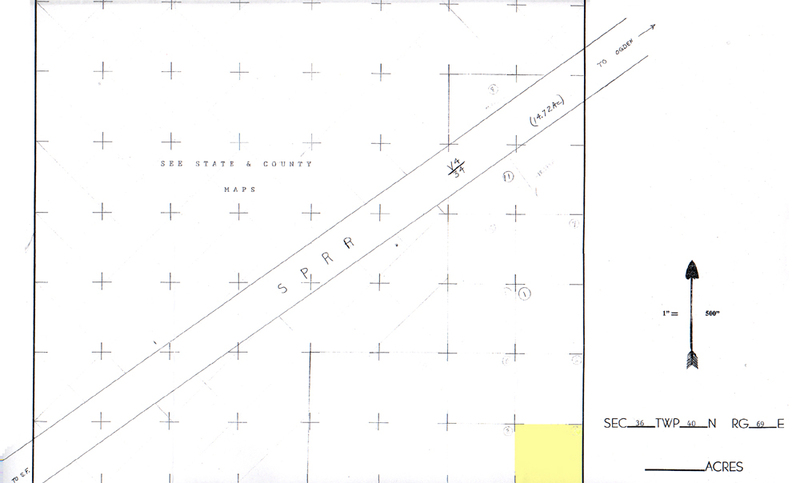 Large 330' by 330' parcel. Power and Tel. on Avenue J. 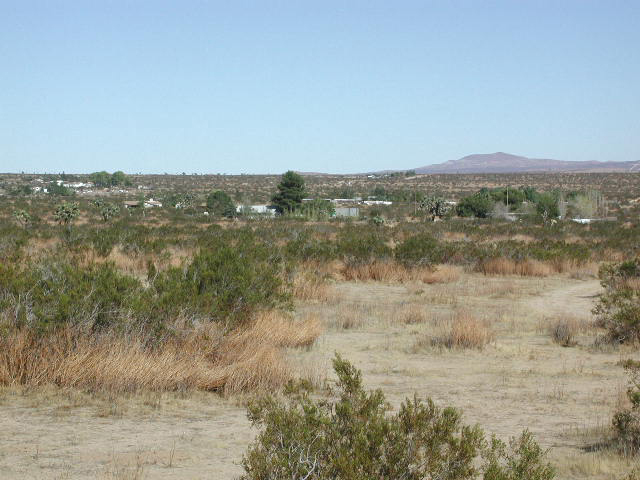 Flat parcel close to town. 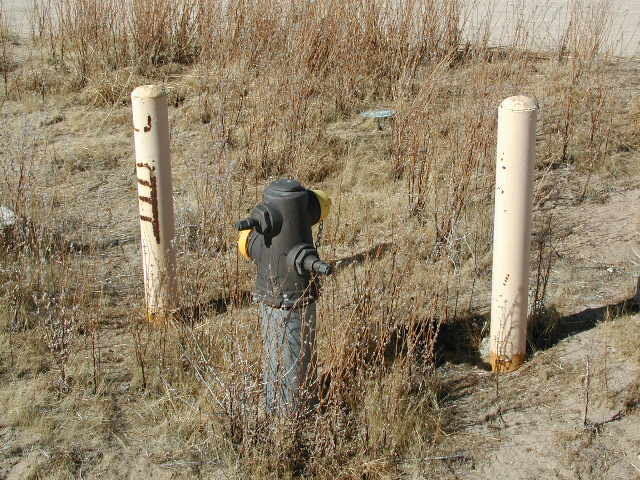 Need to purchase a well for your property? 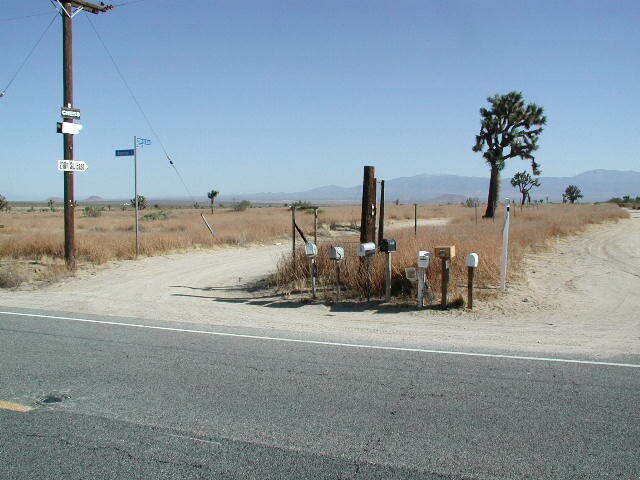 Contact Boetsch Well Drilling and Pump Service at (661) 824-9007. Also, Bryant Well Service at (661) 945-6798 (ask for Bobby or Brenda). 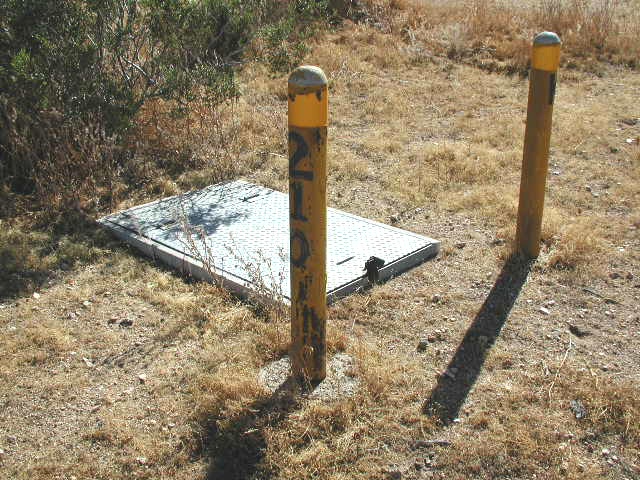 A well will generally cost about $25 per foot of depth. Water is normally found around 300 feet deep. Although, the old timers say it's best to make your well 500 feet deep. That way, water will always be in good supply. 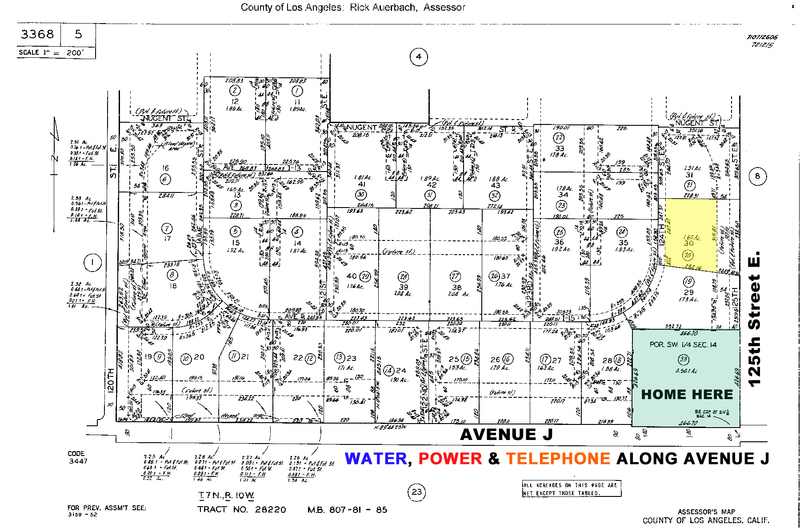 Do you have questions about zoning? 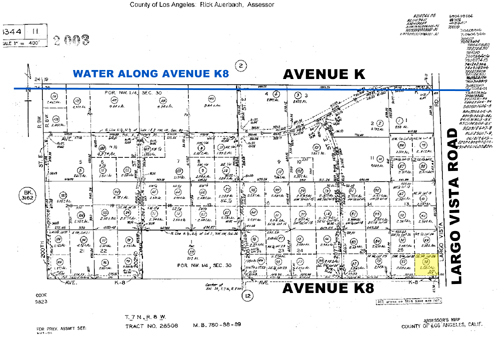 Visit the LA County Zoning FAQs Page. Or, maybe you just want to learn about Agricultural Zoning. 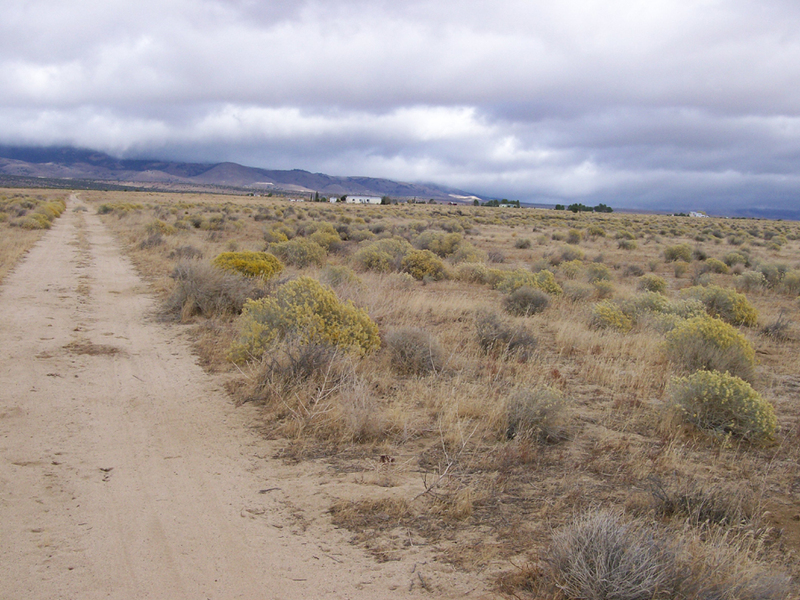 For zoning questions and land use for property in Elko County, please contact the Planning Department of Elko County at (775) 738-6816. Please send me an Email if you have any questions. I get a lot of SPAM, so please make your subject heading read: "QUESTIONS ABOUT YOUR LAND FOR SALE"
The page is updated weekly. Once a property is sold, it is removed from the above list. Check back frequently to see new opportunities. I also buy land and real estate. 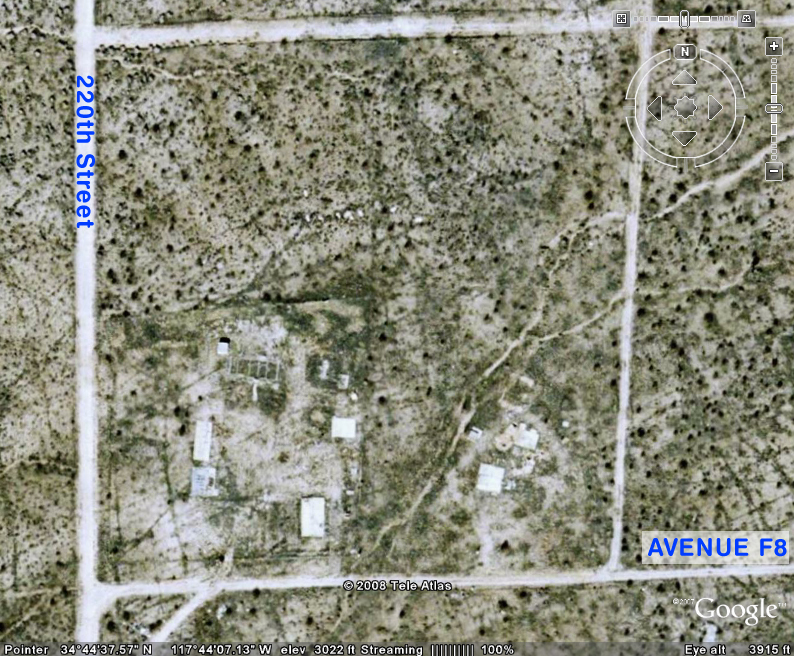 Please contact me if you are interested in selling your vacant land. The process for purchasing my real estate is easy. You send me payment and I record the new deed. If you require escrow or title insurance, those fees will be absorbed by you. 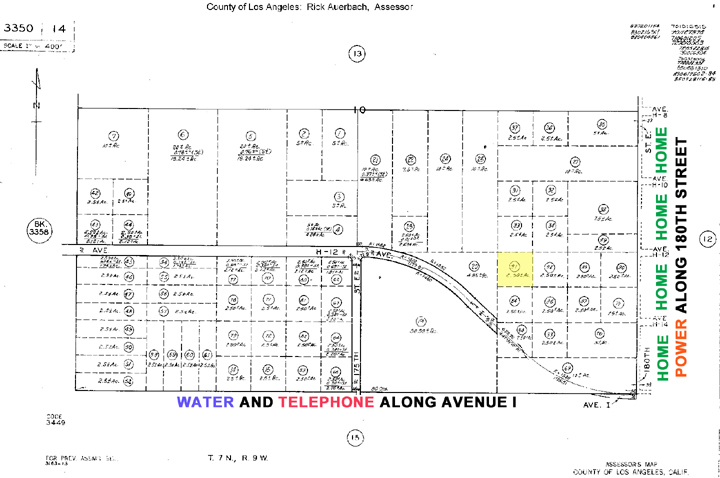 Some land in the County of Los Angeles needs to have a Certificate of Compliance filed with the County prior to building. 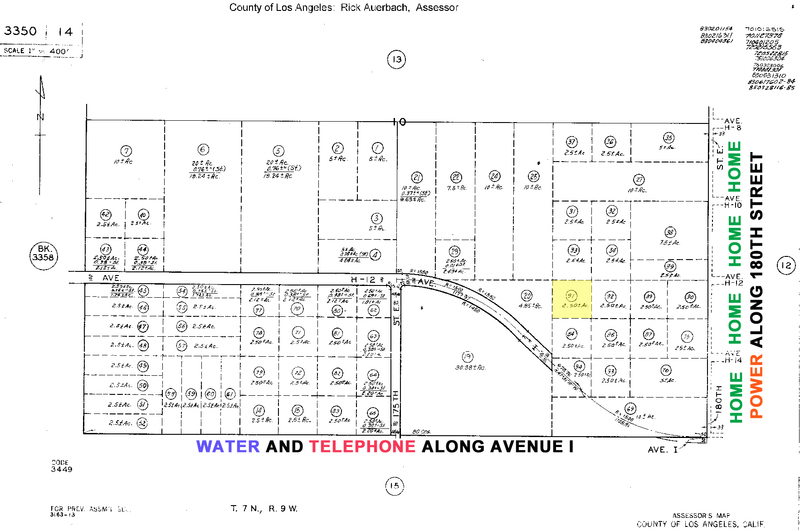 Visit the LA County Planning Department for answers. 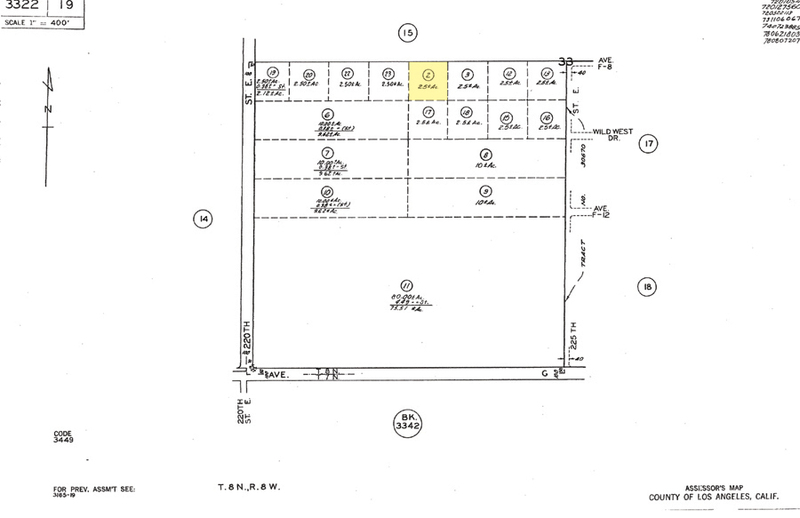 This process formalizes the description of the property prior to building. You only need this if you are building soon. Notice: All property is offered as is, where is, with no representation or warranties of title, encumbrances, or lack thereof, or fitness for any particular use. Prospective buyers are urged to conduct due diligence prior to buying. Buyer should verify all utilities. All sales are final. All pictures and text are the property of James Jackson.